Fresh and Local Holiday Decorations! Deck your halls this holiday season with local Christmas trees, wreaths, centerpieces and more! 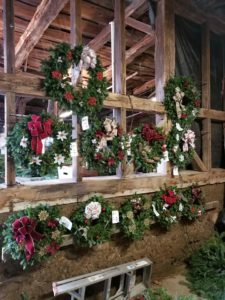 Our local growers have continued their hard work to bring you fresh, beautiful, and heartfelt decorations for the holiday season. support local growers while gracing your home with fresh greens that will last all season long!